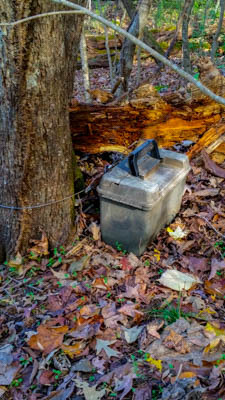 This Cache was originally created and hidden on 3/3/2001 Making it one of the oldest caches in the area. The originators of the cache, Mark & Gweebaroo abandoned the cache long ago which was then adopted by The_Mariner who altered the cache to a multi stage adventure. Found this great old cache early in the day. Parked within a reasonable walk Cache easily spotted as I approasched GZ. Stamped & Signed log. Thanks for the cache. My entry for the GCGC Play the FOOL this week. Wanted to get out for a little walking, and archived old caches are fun, so here we came. There were a bunch of muggles out on this beautiful day, but none seemed interested in our side trip off the trail. Thanks, TermiteHunter, for setting this up! I ventured out to find this "old" cache today for the GCGC Laundry List and I wasn't disappointed. The container is in great shape and it was a nice walk to the cache. Thanks for keeping it active. My first opencache thank you keeping this one going. I left a toy but would have brought so much more if I had paid attention to how big the ammo box was. I came out as part of the geocaching laundry list and didn't think I was going to make any this week because I've been so sick. But I'm glad I made this one, thanks again! 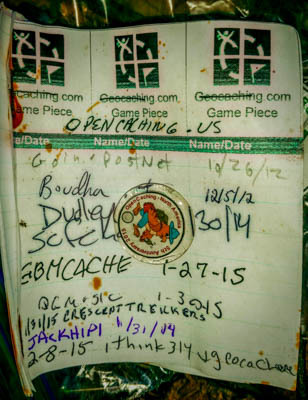 I found the OLDEST CACHE on Opencaching.us and I am happy. This was everything a cache should be and more. I did make it way harder by parking at the bank near the main road. When I made my way to GZ, I realized I could have just parked on the side of the road. 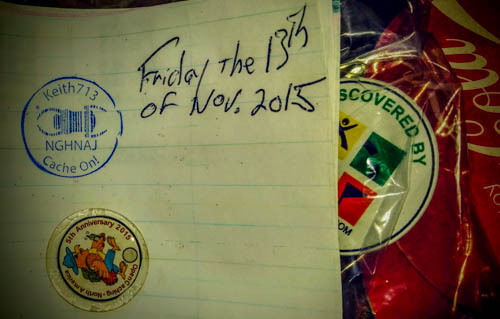 Thank you for this adventure and keeping this cache alive.